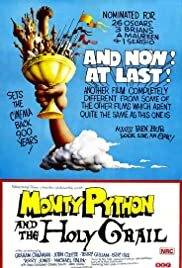 Today’s post follows on in a loose manner from last week’s, but is also inspired by thinking about film versions of books. 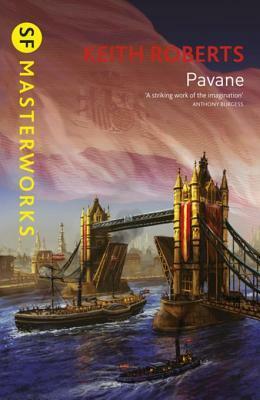 The connection is once again the complex of tales to do with Arthur and his companions – the so-called Matter of Britain. As mentioned last time, these stories – even the oldest variants of them that we know – are in constant tension and conflict with each other. 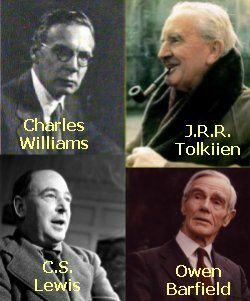 There is no single authoritative original version, and different tellers of these tales have focused on divergent features. Did Arthur die on the battlefield? Was he taken away mortally wounded to die elsewhere and be laid to rest? Did he go elsewhere to be healed, and return one day? 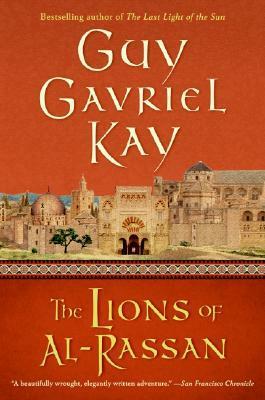 What did happen between Lancelot and Guinevere? Was the Grail a peripheral distraction, or the vital centre of the whole company? And so many other questions, all unanswerable… or rather with so many possible answers. 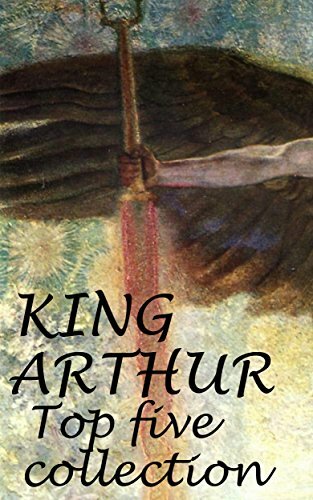 Now, one feature of the Arthurian tales is that they have metamorphosed into several different media – prose, for sure, but also poetry, music, film, art, sculpture, cartoons and animation. And, allowing for the availability of these technologies, this multi-media presentation has been part of the tradition from as far back as we can trace it. Did our twelfth century ancestors argue whether the French prose Vulgate cycle was better or worse than Lazamon Brut’s massive poetic treatment? Or did they, in fact, relish and appreciate the diversity of approach? 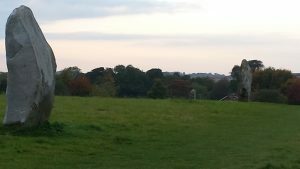 A few days ago I was walking in the Chiltern hills, at the north east end of The Ridgeway. This is often billed as Britain’s oldest road, and is known to have had some 5000 years of traffic going to and fro. I suspect that in fact usage goes back a lot further. 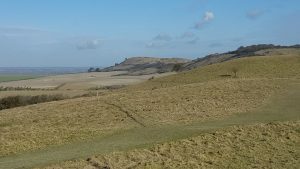 Today’s Ridgeway (which is one of our National Trails) goes from Ivinghoe Beacon to Avebury (or the other way), and it is the central part of a really long route which at one time went from The Wash diagonally down to the English Channel. It is possible still to do that, by diligently joining together lots of separate paths – for example The Peddars Way gets you through large parts of East Anglia – but The Ridgeway is the section which is most generously provided with maps and signposts. Walking on these ancient trackways always gives me a keen sense of those myriads of individuals who have walked that way before. It also invariably gives me a desire to write a story which somehow incorporates the network of paths, their very many fascinating way-stations, and the travellers themselves. But so far I have only a desire, not a plot or anything else substantial. The Ridgeway is 87 miles long – in practice a little further as you have to come away from the track to find lodgings for the night, and then make your way back in the morning. It’s easy walking, and easy to finish in about a week, or else in a series of weekends with train journeys to and fro. And one of the great things about walking it is that you are covering the ground at the same rate as your remote ancestors. You’re seeing broadly the same terrain as they did (barring houses and a definite lack of trees), watching distant rises and dips in the ground approach at the same slow speed as they did, and experiencing the sun wheeling overhead from east to west in the same way. Now, our ancestors had different motives for walking these paths than we do. We walk for recreation and inspiration, while for them, motives of trade, diplomacy, marriage, or religious festivity would be at the core. There are all kinds of monuments spread out along the paths. We understand the purpose of some of them, but others have become obscure. We wonder at the prodigious effort involved, but cannot any more grasp the function. It’s also worth remembering that the various sites and signs of occupancy spread out along the 90-odd miles of The Ridgeway, let alone the much longer distance of the whole route, are themselves spread out over time. It’s easy to forget this, and imagine that a Neolithic, or a Bronze Age traveller, would be seeing the same things as you are. But the reality is quite different. 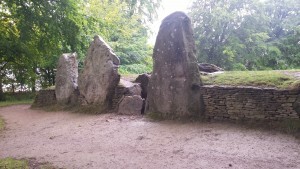 There are Neolithic sites like Wayland’s Smithy, dating from about 5-6000 years ago. There are Bronze Age sites like Avebury or the Uffington WHite Horse. To the people who built these – which are themselves separated by a great gulf of time – Wayland’s Smithy was already unthinkably old. Then there are Iron Age forts, ditches, and banks – and the builders of these would have lost all sense of the earlier constructions as living sites. They would simply have been relics from the past, part of the context of the new homes and sacred sites. It was this sense of a multi-layered land which was part of the inspiration for Half Sick of Shadows. This did not take place along The Ridgeway, but in a winding river valley. A chalk scarp overlooked the river, and the various human homes nearby, but there are many parts of southern England where that could happen. So that story is not tied to The Ridgeway – but the idea of the land changing slowly, witnessing the rapid passage of generations, was absolutely there. And in that story, there is someone for whom the changes in the land itself seem quick. One day, perhaps, I’ll write those other stories of the ancient world and its journeys. Meanwhile I shall continue to walk parts of the old paths, and gather ideas for the tales as I do so. A follow-up to my earlier post this week, catching up on some more news. But first, here is a couple of snaps (one enlarged and annotated) I took earlier today in the early morning as I walked to East Finchley tube station. 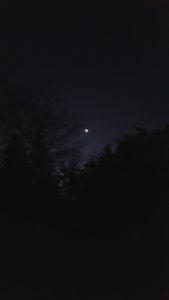 All very evocative, and leads nicely into my next link, which is a guest post I wrote for Lisl’s Before the Second Sleep blog, on the subject of title. Naturally enough, it’s a topic that really interests me – how will human settlements across the solar system adapt to and reflect the physical nature of the world they are set on? 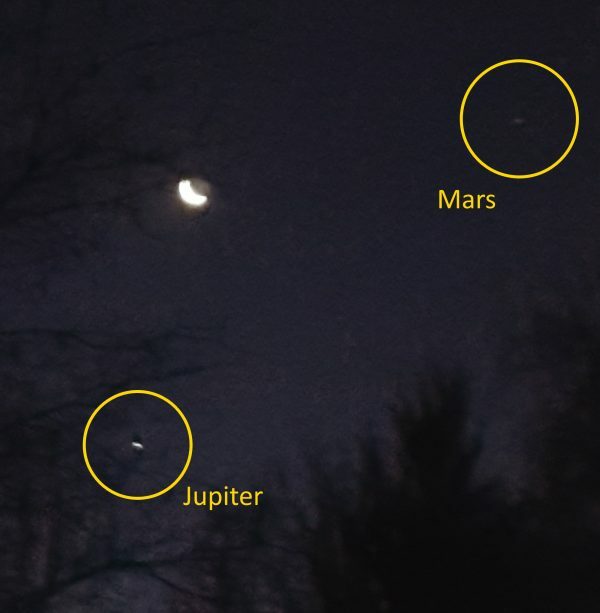 In particular I look at Mars’ moon Phobos, both in the post and in Timing. So far as we can tell, Phobos is extremely fragile. Several factors cause this, including its original component parts, the closeness of its orbit to Mars, and the impact of whatever piece of space debris caused the giant crater Stickney. But whatever the cause… how might human society adapt to living on a moon where you can’t trust the ground below your feet? For the rest of the post, follow this link. Half Sick of Shadows is on Goodreads giveaway, with three copies to be won by the end of this coming weekend. It’s been an exceptionally busy time at work recently, so I haven’t had time to write much. But happily, lots of other things are happening, so here’s a compendium of them. Secondly, right now there’s a whole lot of deals available on my novels, from oldest to newest. Half Sick of Shadows is on Goodreads giveaway, with three copies to be won by the end of next weekend. As it’s December, and all the shops are starting to get into Christmas mood, I thought I’d join in. So from December 10th-17th most of my books are on Kindle offers at 99p or 99c. Amazon rules prevent me from putting Half Sick of Shadows on a countdown deal (it’s already too economically priced) but in order to be more or less consistent there is a Goodreads giveaway of three copies running at the same time – just follow the link on or after December 10th to enter! A few days ago on The Review Facebook page (look back to December 1st) the question was posed – what person in history would you like to see written about? Naturally enough, most replies focused on historical individuals who had lived interesting lives but had never really had the attention in fact or fiction that the various contributors felt was appropriate. Now, I kept quiet in this discussion, because my mind had immediately run away down an entirely different avenue, and it didn’t seem the right place to ramble on about that. But here in the blog is a different matter! Doggerland is the name we give to the stretch of land which once joined the eastern counties of England to parts of Europe. Nowadays the North Sea covers that whole span, but every so often ancient relics are retrieved, mostly by accident in fishing nets (the first such being a barbed antler tool back in 1931). 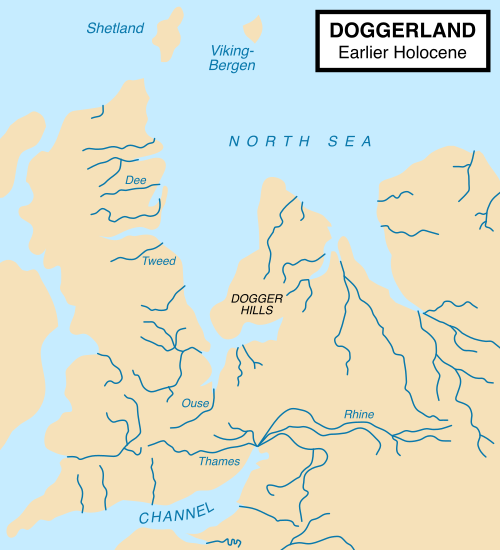 The name Doggerland comes from the Dogger Bank, which is a large region of sandbanks and shoals in the North Sea, in places no more than 50′ deep. So nowadays the sea divides Norfolk and the Netherlands, Lincolnshire and Denmark. And with climate change and slowly rising sea levels, this is unlikely to change. But let’s roll back some ten thousand years, and see the changing picture. When the land warmed after the last ice age, Britain and Europe were united by a broad low-lying tract of land (this was c. 11000BC). This land was never rugged or mountainous – imagine something like present day East Anglia, Holland, or Denmark, and you have the picture. Two arms of seawater divided this from Scandinavia to the north-east, and Scotland and Northumberland to the north-west. Several rivers – including the Thames, the Seine, the Rhine – flowed into this broad plain, and thence into the Atlantic via what was to become the English Channel. The land was good for hunting and trapping animals, the margins had fish and shellfish, and when early farmers arrived they found the soil to be fertile. It was, I suspect, a pleasant and welcoming place to be, with a climate becoming gradually milder as, decade by decade, the Ice Age retreated. The sea level rose as the ice melted. In some places, the land sank down as the sheer weight of the glaciers further north was released – this is still happening in the Scilly Isles which, very very slowly, are being submerged. Both factors spelled the end for Doggerland. By now this huge expanse of territory has completely disappeared. This did not happen overnight – best estimates are that it was all gone a little before 6000BC, so it took around five thousand years to dwindle. The occupants, whether living a hunter-gatherer or settled lifestyle, had many generations to adjust to the change. I suppose they had oral traditions which spoke of how this island used to be attached to the land, or that forest used to extend several days’ journey further north. But within that long span of steady reduction, most likely there were also sudden calamities. A storm surge one winter might have taken away miles of coastline. An autumn flood might have demolished a natural barrier to the water, exposing the lower fields beyond. A series of unusually high tides might turn fresh water meadows to salt marsh. A landslide in Norway, resulting in a tsunami, probably did much to finish the process. All of these things have been seen in the low-lying lands which still border the North Sea. Extensive study has revealed a lot about this drowned land – see this BBC article for a summary of investigations by several Scottish universities. Or this article in the Telegraph newspaper for an account of work to map the surface features which still remain. So the story I want to tell, one day, is the story of the last person to leave Doggerland. Or, more widely, the last community to abandon its shrinking and increasingly boggy surface. What was it like to leave the places, practical and sacred, which their people had moved through for so long? How were they received by those groups already living in the regions around? Did they look back with relief or regret? Perhaps one day, when I want to switch back from science fiction to ancient history, it’s a story that I will tell. I was going to do part two of Left Behind by Events, but when this review came out on the Before the Second Sleep blog, plans changed. 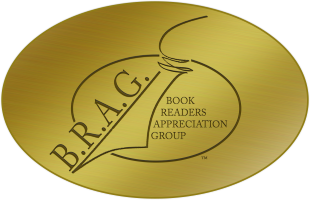 You will guess when you read it that I was very happy about this – not just the review itself, but the way it brought out comparisons and associated thoughts. I’m going to quote extracts from the review here… for the full thing you’ll have to follow the link. And if you do, there’s a bonus – leave a comment at the linked blog (not this one) and your name will go into a hat for a free giveaway copy of the book. 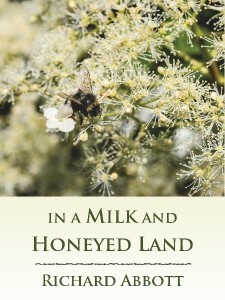 Contemporary author Richard Abbott takes this one step further by incorporating his own already popular literary bents—historical and science fiction—into a highly accessible re-interpretation of Tennyson’s masterpiece, itself based on the life of Elaine of Astolat, a tragic figure within the Arthurian catalogue. Written in prose and sectioned off a few more times than “The Lady of Shalott,” Abbott’s Half Sick of Shadows takes us into a world of beauty and cruelty, loving and longing, a world of isolation in which the Lady yearns for her own voice and must choose which sacrifice to perform. The metamorphosis of this re-telling gifts readers the feeling that they are receiving the Lady’s story for the very first time. 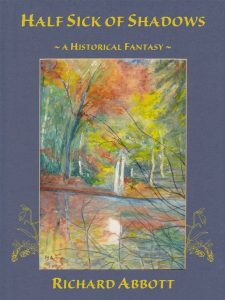 For those familiar with Abbott’s previous work, the historical may be an expected element, but the speculative angle is a definitive bonus, and done with a subtly that enhances rather than reduces the Arthurian and historical within Tennyson’s version. There is a machination about the mirror, in its gathering of data as the Lady sleeps between instars, or growth states, and during her acquisition of knowledge, and periodically we hear a word or phrase (e.g. gibbous) that injects the story with a small flavor of the author’s previous forays into a galactical colony. For me, this speaks volumes about Abbott’s ability to transition from genre to genre: he clearly is comfortable writing in a variety, and with Half Sick of Shadows we see this taken to another level as he combines it into one: history, mythology, fantasy and speculative. Perhaps some might even add mystery and/or romance, for the Lady catches a glimpse of Lancelot in her mirror, and from then on everything she acts upon, whether in pragmatic caution or foolish abandon, is in response to the spell she knows she is under, a magic that will destroy her should she try to look directly at the world outside. The manner in which Abbott expands upon the Lady’s life and events within, simultaneously breaking ground while remaining true to Tennyson as he retains the spiritual within the legends of Camelot, is inspiring and captivating. The imagery and descriptive language is economic yet rich. Whether re-visiting or new to the legend, readers will cherish Abbott’s novella, an original and enthralling re-telling suitable to current sensibilities, with a blend of Victorian sensory and critical, and the Modernist aim to further pique cultural curiosity. It is a merger in which Abbott splendidly succeeds. Once again: the link to the full review is https://beforethesecondsleep.wordpress.com/2017/10/09/book-review-half-sick-of-shadows-with-giveaway/. Like it says, there’s a giveaway copy to be won – follow that link and leave a comment to be in with a chance.